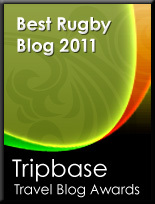 TOTAL FLANKER...a rugby blog: Where women glow and men plunder? How is it that, one day before the start of the Six Nations, Martin Johnson faces questions not about his team's chances against the Welsh but about where a player who is currently his country's 6th choice fly half might be playing his rugby next season? 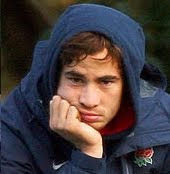 I'm referring of course to Danny Cipriani who is heavily rumoured to be planning to take his scrum cap and his model girlfriend Down Under to hook up with the Melbourne Rebels next season, having (maybe rightly) concluded that there was no future for him with Johnson's England. Asked whether Cipriani could play for Melbourne and stay in the England squad Johnno was typically forthright: "No of course it's not...it is impossible for him to play for England in the Six Nations if he is over there. I am sure he understands that." Who knows how accurate the rumours are? Personally I think it'd be a huge cop out by Cipriani. Stay and prove the England management wrong or run away and prove that Johnson's suspicions as to his character are spot on? Bottom line is that if he was playing well enough he'd be closer to a return for England. Fact is he isn't, and 2nd choice fullback for the Saxons is about his level right now. Couldnt disagree more with your comments. You are always going on about the "media" giving England players (Borthwick) a hard time and here you doing the samething to a young and potentially a great player. You are clearly a Cipriani hater and what ever he does you will have issue with, which is incredibly short sighted. I think going to Oz or France would be great for him, cos it can only improve his game and also get him out of the spot light in a country were the media relishes in distroying anyone with a bit of talent who is struggling to live up to their potential, remember Mathew Tait 2005. A Cipriani hater? Far from it my friend. Look, he has bags of talent and has been terribly unlucky with injuries but, put simply, his form currently doesn't warrant the hype he gets from certain quarters. He needs to play his way back in to England set up and, as long as he remains available for England, there would be no issue with him moving to France, for instance. Australia and the Super 15, however, is another matter as he would effectively be ruling himself out of England contention for the foreseeable furture. Now THAT, in my view, would be short-sighted.